Online shopping has been skyrocketing year after year thanks to the wide range of products and conveniences it offers. It’s estimated that e-commerce generates over $1 million every 30 seconds. This is a massive amount of money with heavyweights such as Amazon, eBay, and Walmart in the lead. But, where there’s money there’s always someone trying to be crafty and exploitative. This is the reason online shopping is tainted by a dark history of frauds and shipping scams. So, how do you stay safe from shipping scams? 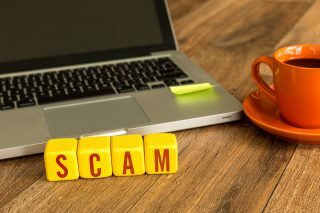 This post is going to explore some of the ways to avoid falling into the trap of scammers. Read on to learn more. This is an obvious step, but it can be tricky as well. Seasoned scammers are usually willing to create websites that look and feel authentic. They will even add images, reviews, and testimonials to make their sites appear more legitimate. So, when researching about a company, don’t just check their website. Look at their reviews on Yelp and their BBB profile. Try to find out the number of complaints and negative reviews they have. Most importantly, pay attention to what other customers are saying about them. Check their online ratings. As a rule of thumb, any service rated three out of five and below is poor service. This will help you to avoid some of the common shipping problems. The number of years a company has been in business can also give you some clues about them. Dropshipping and freight forwarding are some of the businesses that have become easy to start today. Today, anyone with a phone and internet connection can start these businesses. There are many factors, such as weather conditions, labor strikes, and customs policy changes that affect the shipping industry. A seasoned shipping company will likely know what to do in the event of these circumstances. Plus, they have a track record of successful shipments and package delivery. If you choose to work with a new company, you might experience several issues, including delays and hidden costs. This what happened to customers who used Medrano Express in Houston and Atlanta. The company was also banned from North Carolina and ordered to refund its customers. In some cases, you can encounter an agent claiming to work for a popular shipping company. In this case, you can use a popular shipping company or freight forwarder, but your money and goods get stolen because you worked with a fake agent. Before moving forward with an agent, be sure to request their details and verify them with the company they claim to work for. When contacting the shipping company for to verify the details, only use the contact information listed on their website or social media pages. Do not accept any contact details from the agent. You might also fall victim to a case of identity theft. In this case, an agent can approach you with the details of an actual employee of the company. You want to make sure that the contact details for the person match up with what the shipping company has. This is one of the common shipping scams that many Americans face every day. It’s usually common around the holidays and during shopping seasons, such as Black Friday and Cyber Monday. If you’re expecting any packages, you’re a good target for scammers. You’re likely to receive an email that looks like it’s from the U.S Postal Service, FedEx, or DHL. The email can be a notification of package arrival or delivery failure. It might contain documents that you’re supposed to print and take it to the local postal office. The email may also contain other links that request or confirm your personal and payment information. Some may also tell you to take immediate action to avoid penalties. Over the years, shipping scam emails have been perfected, so you need to be very careful. Con artists will use names, logos, and other relatable information of a legitimate company. Customers are usually most vulnerable when they’re expecting package delivery. You want to be very cautious when you receive emails, calls, or text message regarding a shipment or package. Most importantly, you need to have the contact details of your shipping company at hand. Just because a shipping company offers a lower quote than the standard shipping rates, doesn’t mean they’re a good option for you. Absurdly good rates and discounts can also be a red flag, as the con artist wants you to rush the transaction. Keep in mind that shipping rates can’t be the primary determining factor for your choice. Some services may ask you to send the shipping fees to their preferred shipper. Others will tell you they have a preferred vendor they have worked with for long and you should use them, too. These are cases you should first investigate or avoid all together to avoid getting scammed. There are also services that will request additional payment for package rerouting. Make sure that a service can ship to your desired address before placing your shipping order. Shipping Scams – Be Careful! Online shopping has made things convenient for shoppers. However, it’s growth and popularity has exposed shoppers to a variety of shipping scams. Whenever you shop online or you hire a shipping or courier company, take the necessary precautionary measures to ensure your safety and security. If you’re looking for a trusted and reliable shipping service for air freight, rush courier or luggage delivery, get a quick quote here or contact us for further assistance. nextCold Storage Warehouse: When and Why Do You Need It?